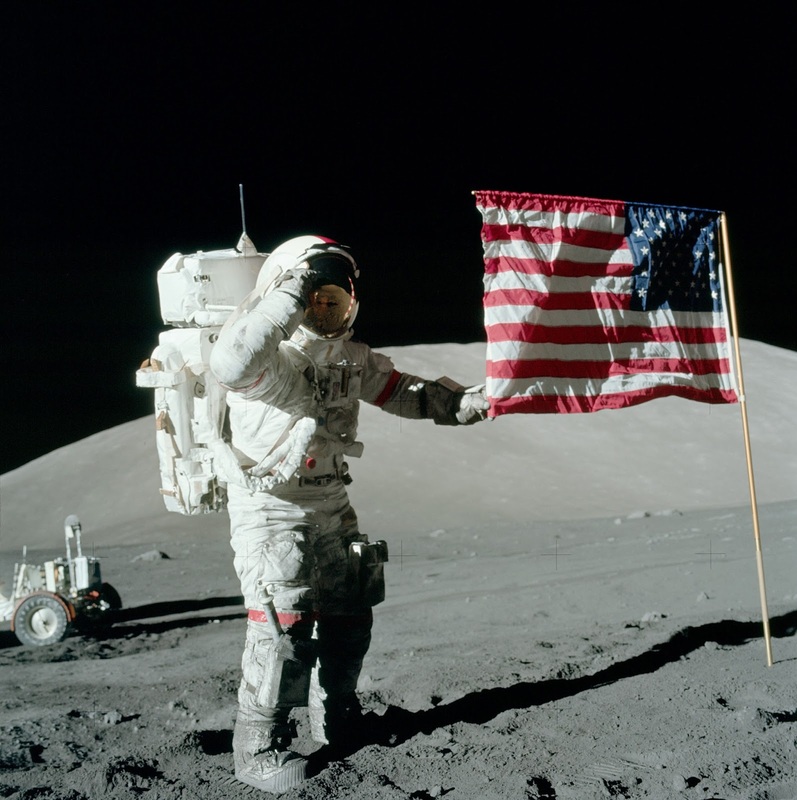 During the Apollo space missions between 1969-72, twelve men walked on the moon. This documentary retells the story of Gere Cernan, the last of these pioneers to do so. 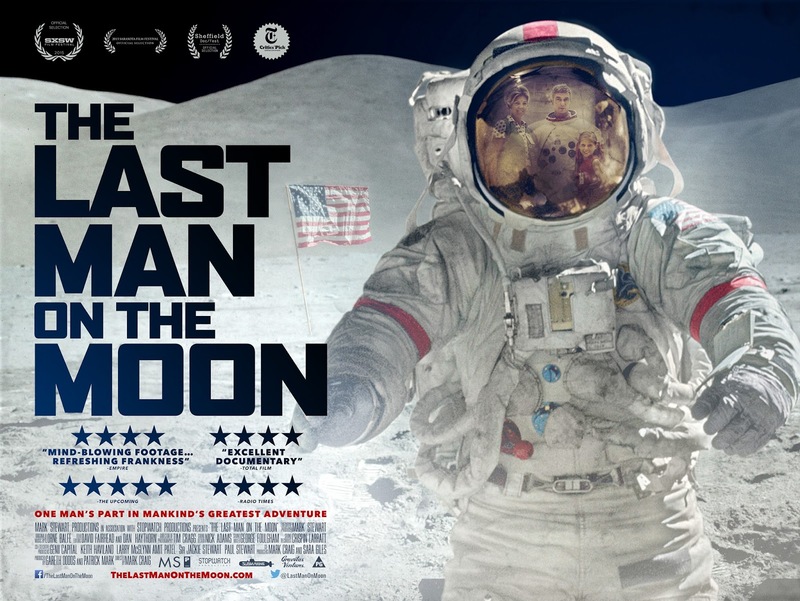 The Last Man on the Moon, directed by Mark Craig, joins a select pantheon of non-fiction films (and an even greater number of fictitious movies) on the subject of space exploration - it aims to distinguish itself from the pack with an approach which grounds the epic romance of voyages into infinity with the humdrum recollections of the domestic life astronauts experienced in parallel. In this respect, the title of the feature is telling - the emphasis of the documentary is indeed that of the man; an extraordinary, ordinary man who experienced in life everyday things we can all empathise with and journeys, too, which we could never fully comprehend, even in our dreams. This approach constitutes both the key strength and weakness of the documentary - whilst David Sington's In the Shadow of the Moon took us on an existential journey which made us question humans' place in the universe, such profound ambitions are lacking here. Cernan, who as the subject of the documentary provides much of the talking head-style commentary, displays many of the attributes one would suspect were essential for his success as an astronaut; this is a rather level-headed and sober-minded man who despite the occasional flourish into flowery colloquialisms - "I was dizzier than a grasshopper" - seems stand-offish and intent on avoiding pomp even when discussing the most incredible of feats. He doesn't seem to want to "play ball" in the same way as his more charismatic peers Neil Armstrong and Buzz Aldrin do, which is a gargantuan shame. In many ways, Cernan's disinclination to truly express the grandiosity of what he has seen, and the philosophical context in which his expeditions can be placed, recalls seeing a live music act stoically refusing to play the single with which they are most associated with - imagine a Journey concert without Don't Stop Believin'. Yet, despite this, the most interesting aspect of the project does indeed relate to the fact that Cernan is not what one may call a conventional hero. Here we see a young man of incredible egotism so concerned with pursuing his goals that he becomes a terrible husband and father - in many ways, this presentation of Cernan mirrors Danny Boyle's recent representation of Steve Jobs as a similar genius/monster. That Cernan, in what we may ambiguously interpret as an act of contrition or guilt, leaves his daughter's initials on the surface makes for some nice narrative closure but one can't help but wonder why his actions weren't explored more - what made the reticent Cernan think of his daughter when he had never been further from her, physically or emotionally, than at this point? Whilst the documentary is a concise and easily digestible length ,and a welcome addition to the canon of non-fiction space films which have sprung up in recent years, it would be most easily recommended for completists on the subject matter. The stunning CG representations of the voyages add depth to a film which often feels overly conventional and perhaps overly attached to its subject too (there isn't enough distance between Cernan the interviewee and Cernan as the film's co-writer). 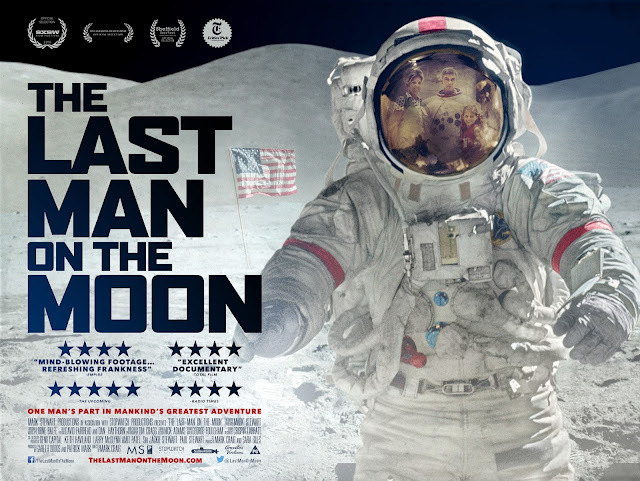 This is a worthy, albeit not entirely successful, piece of film-making which occasionally feels like we're watching a man recite a well-worn set of anecdotes once more - whilst he may have sailed into the great unknown, Cernan isn't a man who looks to have adventured very far emotionally or been pushed there in some years either.